You�ve just laid down for the night when suddenly doors slam and the curtains shift. The lights begin to flicker and a white mist forms in front of you. You shut your eyes and keep muttering, �ghosts aren�t real.� But then you open your eyes and realize that �harmless� mist has shifted into the form of a man, staring intensely at you, as he floats above your bed. For centuries these questions have intrigued, puzzled, and bedeviled science, skeptics, and even believers. 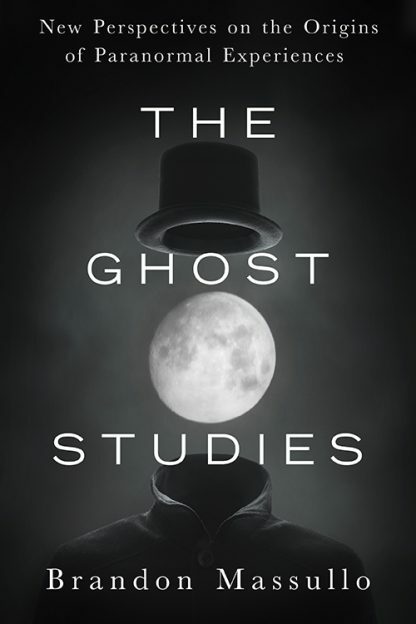 Based on cutting-edge research and new theories, The Ghost Studies provides insight into some of life�s greatest mysteries. Brandon Massullo is a clinical therapist and parapsychologist residing in Medina, Ohio. Fascinated by paranormal phenomena for more than 20 years, Massullo has been a participant in and featured speaker at numerous paranormal forums and events. He studied psychology and parapsychology at the University of Edinburgh in Scotland. His research has been cited in numerous parapsychological journals, articles, and mainstream books.